Denver-based Dazbog Coffee has a lot brewing in 2019. VISIT DENVER checked in with founders/owners Leonid and Anatoly Yuffa about their new Red Square headquarters building, latest products and locations, and how Denver’s coffee scene has become more distinct. The Yuffas immigrated to Denver from St. Petersburg, Russia, with their family in 1979, long before the coffeehouse craze appeared, and later combined their skillsets and business savvy to launch Dazbog Coffee in 1996. Originally starting as coffee roasters and wholesalers and selling to restaurants, coffee shops, grocery stores and offices, the Yuffas branched out by opening coffee houses and offering franchise opportunities starting in 2007. VISIT DENVER: Heading into Dazbog Coffee’s 23rd year of business, it sounds like there are some exciting things on the horizon for 2019? 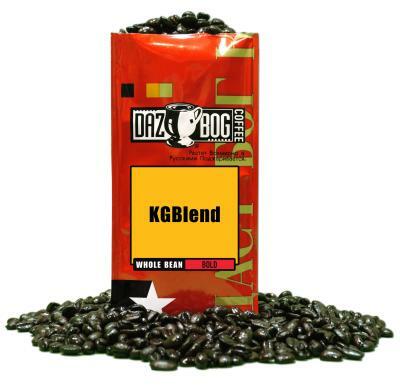 Dazbog Coffee: This is going to be a monumental year for Dazbog Coffee. We are building a new marquee headquarters and manufacturing facility at our longtime home, right off of Interstate 25 and Sixth Avenue. This is where we have grown our company since we started it in 1996. It is where we slow roast our coffee beans each and every day, so it was very important for us to stay here. It is in the heart of Denver and there is not a lot of available land, so we decided to go vertical with a big facility that we are calling Red Square. It’s very visible, and we wanted to have a bigger presence in the market. We’ve always been scrappy and frugal. This is a major investment and will help take our growth into the next decade. At the end of the day, our goal is to continue doing the exact thing that we’ve always done, and that is to deliver the best cup of coffee that money can buy. VD: Has weaving in your Russian heritage made a difference in marketing Dazbog Coffee and has it made it fun as business owners? DC: Our Russian heritage is a huge part of our identity. The company is our heart and soul, and we put it out there as part of who we are. We are very proud to be a Colorado company owned by Russian immigrants. It has been an amazing journey. We use our packaging to tell the story of our where we came from. We like to have fun with it and have a unique interaction with our consumers. People love our different flavors—Russian Roulette, KGB Blend, White Nights Espresso—and they appreciate the high quality of the coffee. VD: Where can people find Dazbog Coffee locations? DC: From the moment you land at Denver International Airport, you can enjoy a Dazbog coffee. You can enjoy our coffee all over Denver as well as we have multiple downtown locations (Colorado Convention Center, History Colorado Center and Auraria Campus), as well as in Cherry Creek North and Denver Tech Center. Outside of the Denver area, we are in Castle Rock, Colorado Springs, Loveland, Fort Collins and Cheyenne, Wyo. VD: Do you expect the number of Dazbog Coffee houses to expand beyond the current 30 in the near future? DC: We will be opening a new store inside Denver’s Wellington E. Webb Municipal Building this spring. This is a fantastic new downtown location because it is so iconic, and everyone has to go there. It’s where you apply for a permit to start a new business or build a house and where you get your marriage license. VD: On the product and distribution fronts, what’s new? DC: Dazbog is available in just about every grocery store in the Rocky Mountain region, which is exciting. It is very important for us not just to grow our sales but also to deliver on the demand that we’ve built up here. We’re also working hard to expand our relationship with Sysco and get our coffee products out to more local business partners and restaurants. Several favorite restaurants in The Mile High City are now pouring Dazbog coffee, including Shanahan’s Steakhouse, Zaidy’s Deli and LaMar’s Donuts. We are launching several new Dazbog coffee products this year, including a new Half Caff coffee that we think customers are going to be really excited about. VD: What is Dazbog’s niche in the coffee marketplace? DC: Dazbog is Denver-grown and Denver-based. We’re proud to be family owned and to have achieved real grassroots growth. All Dazbog products are grown on small, family-owned farms and harvested and transported without chemicals or pesticides, which is good for everyone. VD: Has Denver’s growth in recent years impacted Dazbog Coffee? DC: Denver has become a much more sophisticated coffee town. There are a lot of new players, and the palette is definitely changing. More people are seeking out the independent brands and that is a good thing. You can get the national guys wherever you travel, but when you visit Dazbog you get a local Colorado taste. It is fresh, it is unique and it is different. We’re very proud of that.